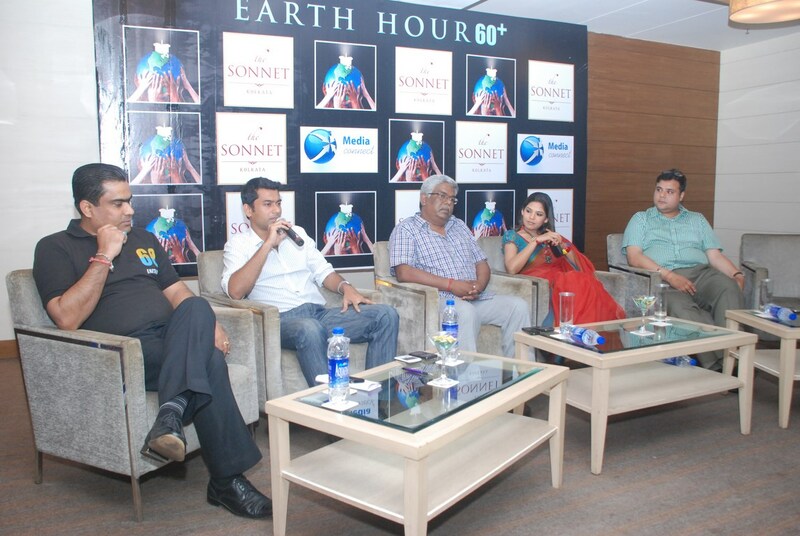 The Sonnet Hotel and Media Connect in joint collaboration participates in the ‘Earth Hour 2013’. Earth Hour inspires a global community of millions of people in 7001 cities and towns across 152 countries and territories to switch lights off for an hour as a massive show of concern for the environment and their support for environmentally sustainable action, reports Gargi Gupta. 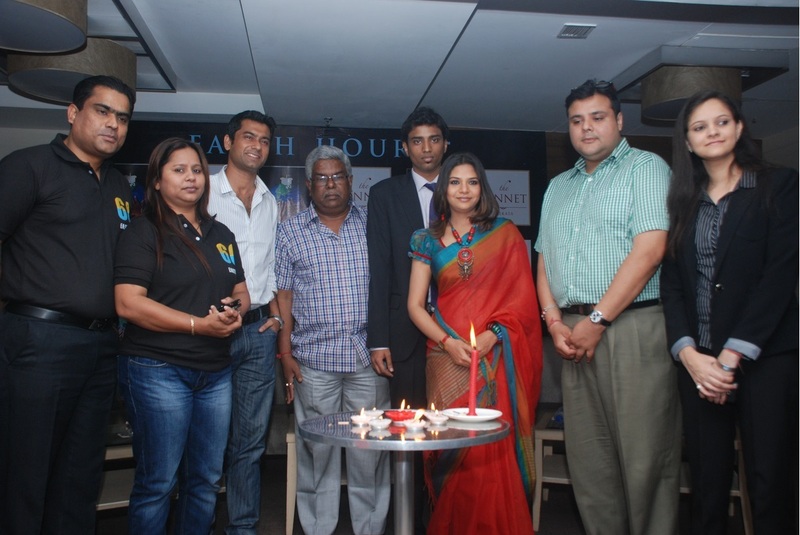 Earth Hour is a unifying event that gives Mother Earth a break for an hour out of the year. If everyone participates in this worldwide event great things could come out of it. This year’s theme is “Uniting People to Protect the Planet”, with that in mind, The Sonnet Hotel and Media Connect activated a range of energy-saving measures during Earth Hour. The lights in certain areas of the hotel were switched off and all non-essential lights were dimmed from 6:30pm – 7:30pm. The lights of smokeless candles were spread all over. The guests in the hotel savoured some delicious snacks, tea and coffee in a special candle lit environment during this hour at the restaurant AURA of the Sonnet Hotel. The guests were welcomed to write slogans on a canvas related to Earth Hour and keeping the theme of Earth Hour in mind a poster making competition was also conducted in the hotel. These posters were kept on display and the best poster was awarded with a prize too. 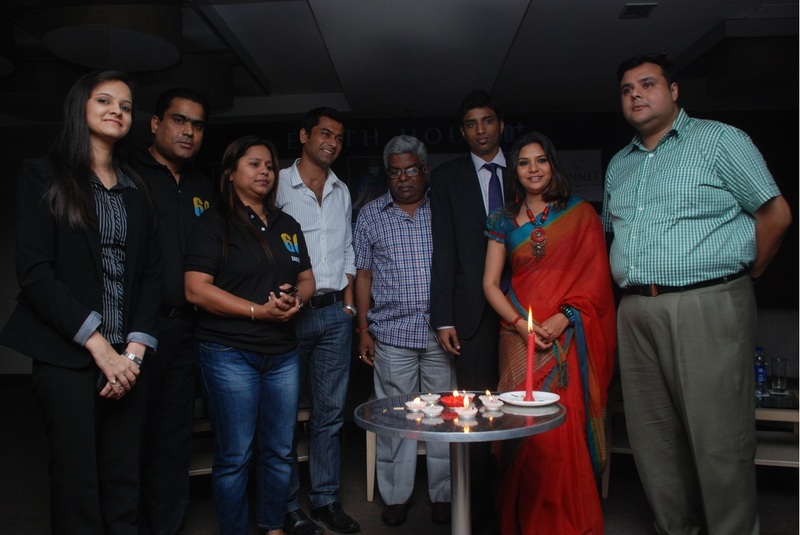 The guests had option to buy the earth hour T-shirts to support the cause too. The staff of the Hotel participated in the round of Role Plays where they were given specific roles of Mother Nature to perform (for example Role of Earth, Air, Tree, Soil, Water and Pollution) followed by discussions on them. At the end, a slogan and message was given by each participating staff too for this cause. The in-house rooms guest were informed about the Earth Hour through a letter and most of them actively participated by keeping the lights switched off for that one hour. This venture urged everyone to use recycled papers for the day. The hotel joined millions around the world in turning off lights for Earth Hour 2013 to illuminate a powerful message about environmental awareness and action. Last year, Earth Hour broke records to cement itself as the largest voluntary action for the environment. Iconic buildings and landmarks from Asia Pacific to Europe and Africa to the Americas switched off lights for a cause. People across the globe from all walks of life turned off their lights and came together in celebration and contemplation of the one thing we all have in common – our planet. People responded well to at this global initiative here today. Those who participated in it understood that the hour itself is symbolic. It signifies their concern for the future of this planet, but it does not mean an hour-long lights off is the one action they are committed to. The hour itself is a moment to reflect, a moment to summon the determination to make changes in the coming year. 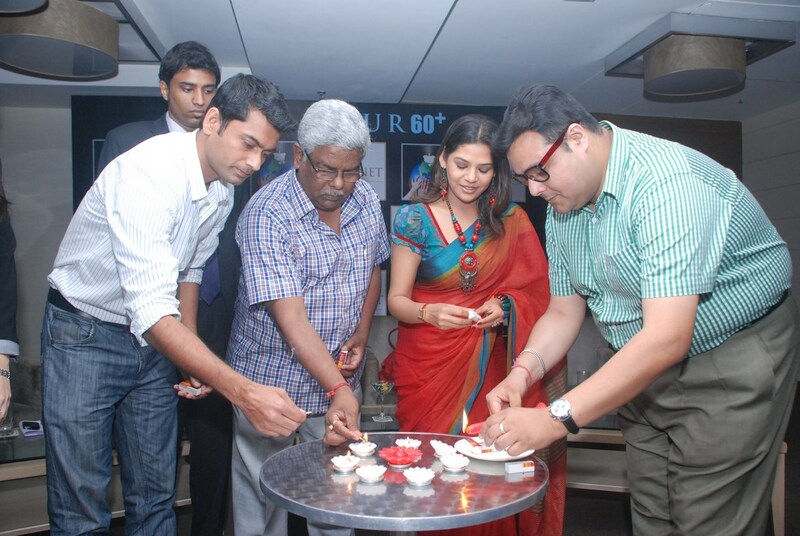 The event was graced by the presence of eminent personalities like elocutionist Sujoy Prosad Chatterejee, actress Sudipta Chakraborty, footballer Kalyan Choubey and Debashish Jana among others. “It is a privilege for us to support such a powerful movement with such a simple gesture. 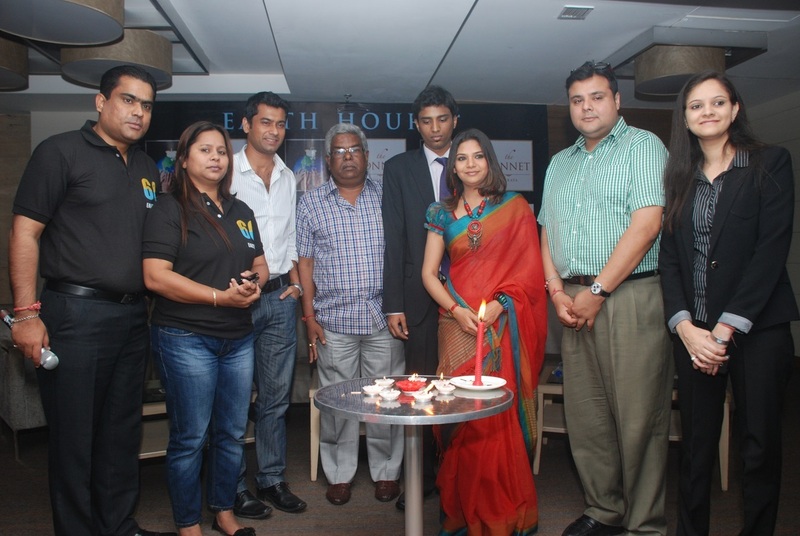 Earth Hour also reflects a philosophy we try to practice year-round: The small steps each of us takes can make a big difference together,” added duo Ankit Agarwal and Prerna Kothari of Media Connect. They emphasised that the people should use this hour to think about what more they can do for this planet. “We are passionate about our environment, and sustainability is at the heart of everything we do as a business. Earth Hour helps to raise awareness for the future of our planet and we support this wholeheartedly. We are committed to energy conservation and we are encouraging our guests and neighbours to join us as we turn off our lights in support of this global effort,” signed off Rajib Roy Chudhury, the General Manager of The Sonnet Hotel.